This program helps implement the City’s and Redevelopment Agency’s affordable housing development programs. Staff works with for-profit and non-profit developers to revitalize neighborhoods and increase housing opportunities through new construction, substantial rehabilitation and preservation of rental and ownership housing for very low-, low- and moderate income households. Staff implements the City’s annual Notice of Funding Availability (NOFA) process to make competitive funding awards for affordable housing projects and monitors the City’s and Agency’s portfolio of more than 75 projects to ensure proper management and maintenance and compliance with rent and income limits. 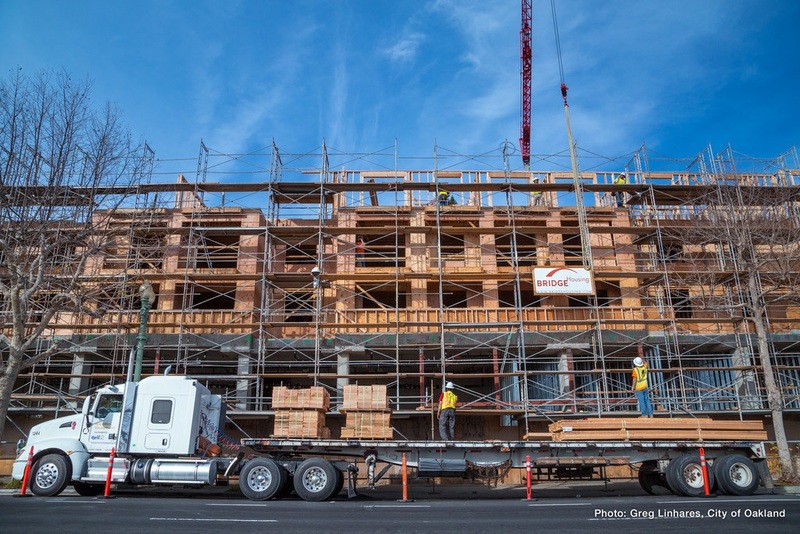 The City of Oakland is committed to providing affordable housing for its residents. Since 1988, we have funded the development of over 6000 units of housing. The City has many funding programs that work with non-profit developers to increase the number of affordable housing units. For more information contact the Housing and Community Development Department.